Rupert Murdoch has the Sun and Mercury in Pisces. His Neptune in Virgo just got bigger thanks to a transit from Jupiter. My grandparents had stacks of yellow-edged National Geographics in the basement of their house, some dating from the days before photographs were on the front cover. On rainy days in summer or awkward Christmas holidays, I escaped down there, opened those shiny covers and travelled the world. I guess it was like that for a lot of people. The magazine was like an old friend, something we took for granted. It would always be yellow, the pictures would always be great, and the world it told us about would always be awesome. Until last month the magazine was not for profit, which explains perhaps how it has weathered the changes in the world of media over the last 15 years more gracefully than other once venerable illustrated American magazines such as Time and Newsweek. Well, as of September, National Geographic is 73% owned by 21st Century Fox, Rupert Murdoch’s behemoth. It is now a commercial, profit-making enterprise. Yesterday was the first day of the new regime and 9% of staff were sacked, including award winning picture editors and photographers. National Geographic was informative, beautiful, outward-looking. It was a window on the world, taking us all to places we could never go. It had integrity. Rupert Murdoch‘s empire does exactly the opposite. Fox News, The Sun, The New York Post — purveyors of lies, gossip, fear and disgust. The world depicted by Murdoch’s media empire is, on the whole, ugly, corrupt and frightening. It seems he has a corrupting touch. For certain this is the end of a certain kind of National Geographic, which was an ambassador for the US, showing the world a curious, intrepid, respectful face; purveying quality. People respected it. We only have the month in which the magazine was launched, so don’t pay too much attention to the inner planets, Sun through Mars, or the houses. Although I don’t have the exact date for the first issue, you can tell a lot from the positions of the outer planets in a chart for October 1888, the month the magazine was launched. It was launched on a Jupiter-Neptune opposition across the signs of publishing Gemini and Sagittarius. National Geographic would become famous for it’s beautiful photography. Neptune rules the photograph. We have just had (in September when the deal went through) a Jupiter-Neptune opposition across the opposite mutable axis (Virgo-Pisces) slicing that original opposition in two, with just two degrees to spare. As the first round of redundancies was being made, Uranus, the planet of shocks was exactly opposite the natal Uranus. This half-Return would have happened just once before in the magazine’s history. Meanwhile, Saturn’s cold and clammy grasp is closing around National Geographic‘s adventurous, gipsy Jupiter in Sagittarius. Saturn is currently squaring Neptune in Pisces. Now although the energies of Neptune and Saturn are rather opposite, they do seem to be drawn together in the person of Rupert Murdoch (Capricorn Rising/Pisces Sun, old man/media mogul). 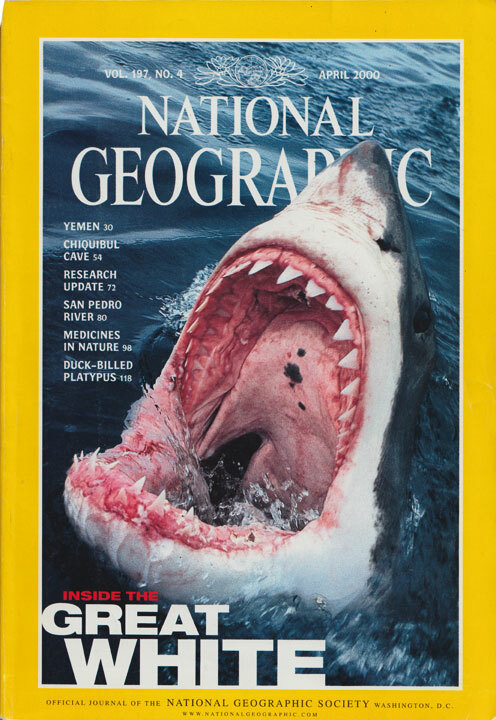 The National Geographic will continue in some form, of course, but it will be a zombie version of itself. This may be a sad effect of Neptune’s powerful transit through Pisces. Our old friend’s heart is being cut out. For more on Murdoch’s chart, click here and here. Such disappointing news Christina. I also loved looking through stacks of the NG and wandering away somewhere in my dreams. I see that Murdoch’s Neptune is 3 degrees Virgo, squaring the magazine’s Gemini Neptune and Pluto. Something in this deal may not be quite as it seems, one way or another. His Uranus/Nodes squares the magazine’s Chiron….the wound of revolution seems to be obvious right now. Still, you know, one can always hope it might balance out at some point. 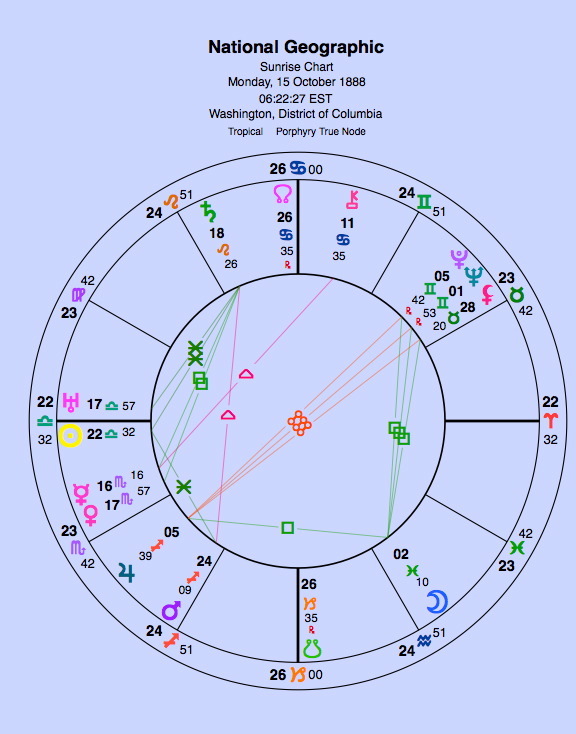 There’s always the Saturn-Neptune squares in Murdoch’s chart to look forward to! He just seems to go on and on. And then he’s organised his succession quite well too. It’s really depressing that one man can have so much influence…. BTW Murdoch’s Neptune is probably in “detriment” in Virgo, although the “new” planets are not categorised like that. Oh no… 🙁 I really loved NG. Thanks for this nostalgic post and the reminder that the world changes, like it or not! The National Geographic Society will continue as a nonprofit, with media and publications spun-off with Rupert’s 73% in the new National Geographic Partners, providing funds for the NGS. NGP has an anticipated incorporation birth in mid-November, 2015, so will have a strong Saturn sq Neptune signature. NGS’ eponymous magazine was published nine months after NGS’ incorporation on January 27, 1888 [ http://planetwatcher.com/#-2585368800 ].